It features a unique combination of an electric supercharger to deliver immediate response supported by a twin scroll turbocharger and Continuous Variable Valve Lift, which boosts power and help the engine to breathe with maximum efficiency. These performance-boosting technologies, combined with Mild Hybrid Electric Vehicle (MHEV) technology, optimises performance, fuel economy and reduces emissions. The MHEV 48V system uses a small integrated electric motor to harvest energy lost during deceleration, and then intelligently redeploys it to assist the engine to maximise efficiency. 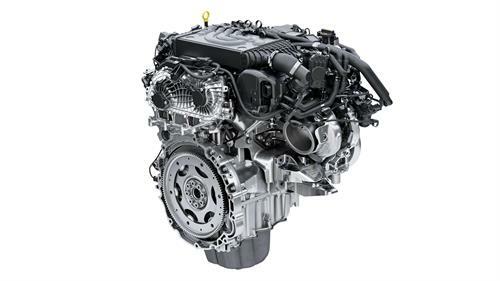 The in-line six-cylinder petrol engine is 20% more fuel efficient than the V6 petrol engine it replaces and is fitted with a Gasoline Particulate Filter, reducing particulate emissions by up to 75%. The new Ingenium engine has been designed and developed in-house and will be manufactured at Jaguar Land Rover’s £1 billion EMC in Wolverhampton, alongside the current four-cylinder petrol and diesel engines. The 200,000 sqm site is a ‘zero waste to landfill’ facility with everything used being recovered and recycled. 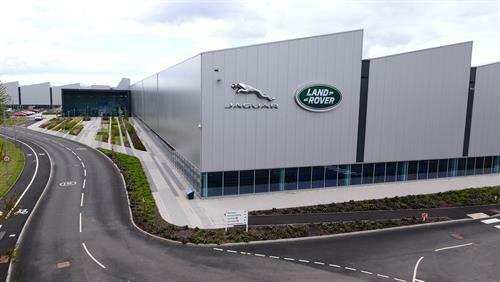 Jaguar Land Rover sources 100% renewable electricity for its UK facilities and over 21,000 photovoltaic panels are installed on the roof of the EMC plant, allowing it to generate up to 30% of the site’s energy. JLR wants to enable customers to make an informed decision on the best Ingenium engine technology for how and where they drive, whether that is fully electric, hybrid, petrol or diesel.